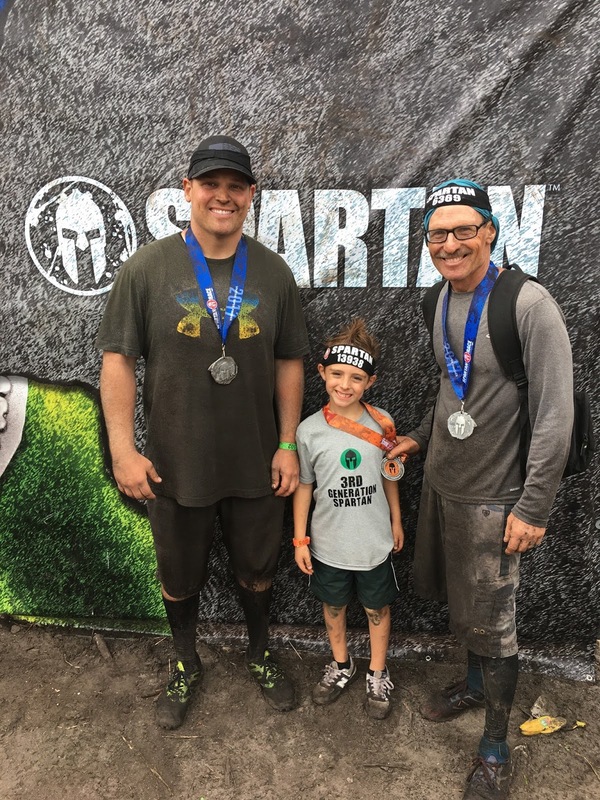 I became a Spartan on Valentines Day 2015. I, along with our son, have completed many races since then. 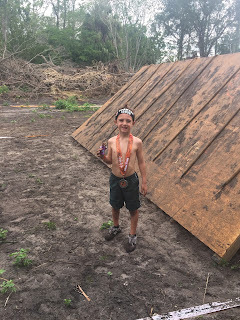 But this weekend we completed 2 of the 3 races to earn our "Trifecta". 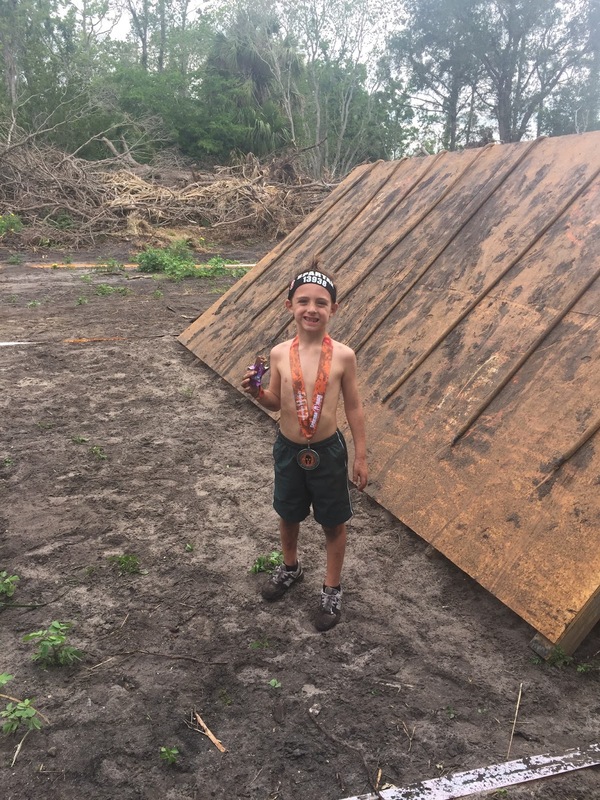 Our grandson did his first "kids race", becoming the third generation of Spartans! You must complete all three distances(Sprint, Super and Beast) within the same calendar year. This December we will accomplish that feat. The "Beast" awaits us. Becoming a Spartan will change your life, you will become unstoppable in everything you do. Our lives are never ending obstacles. You will learn to change your frame of reference and conquer those with determination and grit. When doubt, fear and storms come your way you have the power to overcome them. You are the storm! Get off the couch and change you life. 1/4 cup shredded coconut flakes. In a food processor or Vita-Mix pulse dates and raisin into a paste. In a bowl mix paste with all other ingredients except coconut flakes. Roll into a softball size ball mixing well to get a good consistency. 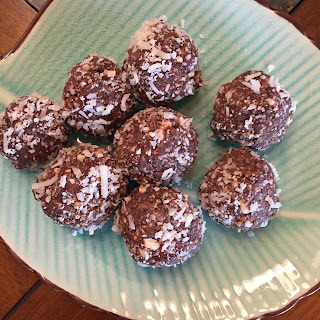 Shape into 1-2 inch balls and roll in shredded coconut flakes. keep in refrigerator until ready use to fuel your way through the day. The dates are a low glycemic fuel your body uses to provide a great source of energy. If possible, call and thank them for all they have done for you.